Editor in chief of Roll Call Christina Bellantoni has been named assistant managing editor for politics at the Los Angeles Times. She joined Roll Call in January 2014 after a two-year stint as political editor for PBS NewsHour. 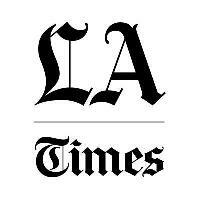 Bellantoni joins L.A. Times in a newly created role following a beefing up of the paper’s political team, which saw new roles for Washington bureau chief David Lauter and national political editor Cathleen Decker. For updates on politics, follow L.A. Times’ national and California political coverage on Twitter.